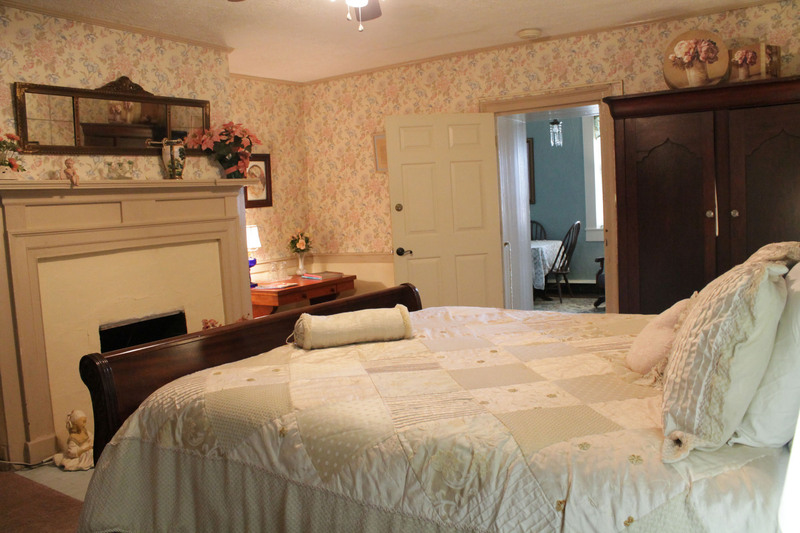 After a long day on the Bourbon Trail, end your day at Jailer's Inn Bed & Breakfast. 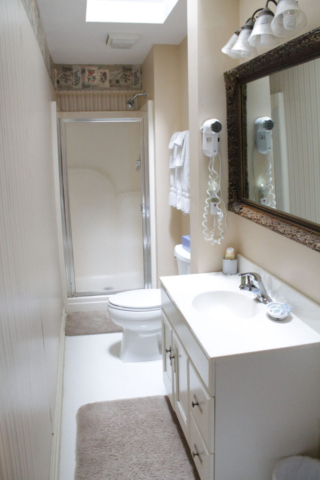 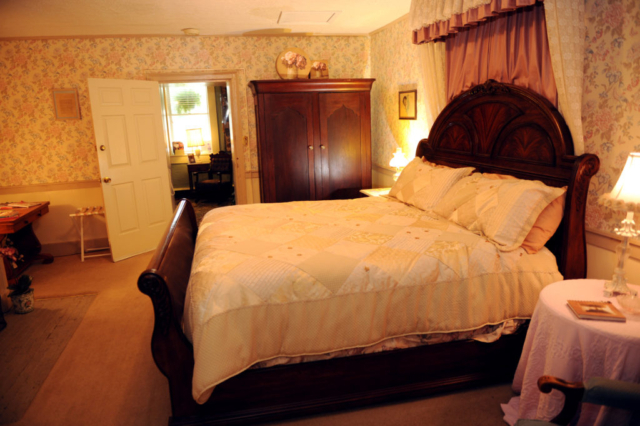 Call today to book this room, (502) 348-5551 or toll-free (800) 948-5551 or book online using the button below. The Victorian Room is filled with antiques and special touches such as an old wardrobe and dresser that belonged to my great-grandparents. 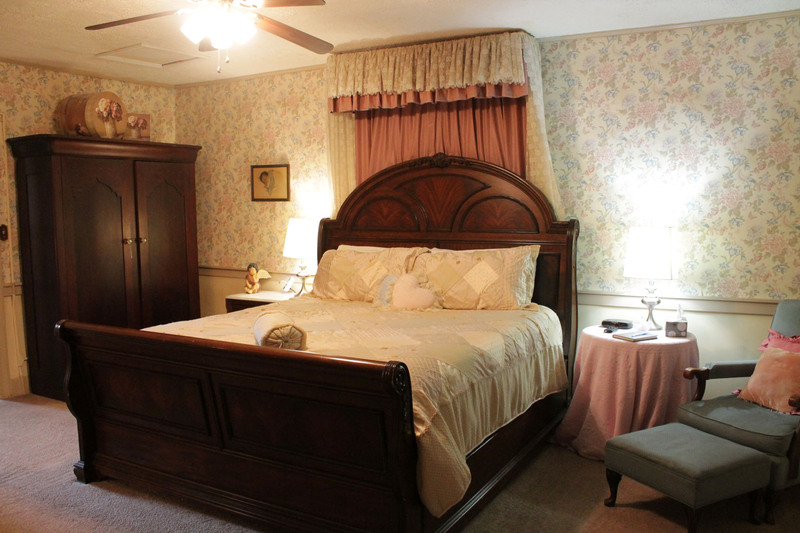 The room has pink floral wall coverings with an array of lace surrounding the chamber. 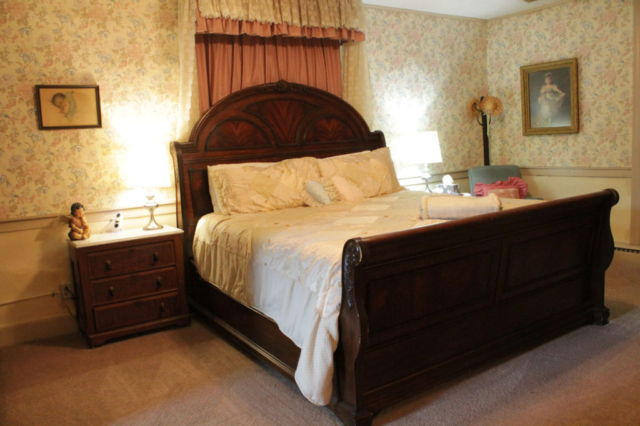 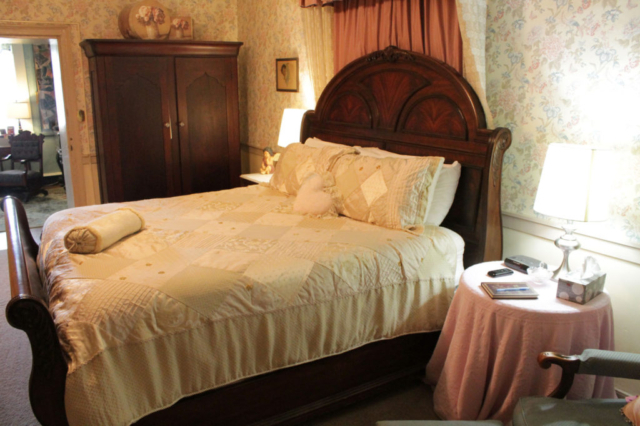 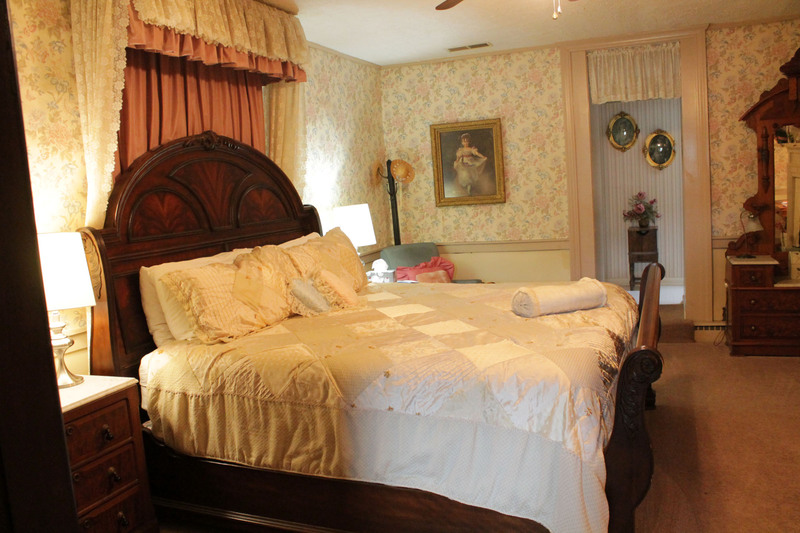 The Victorian Room is very quaint and a step back in time with a king-size bed that will make you drift off to dreamland.